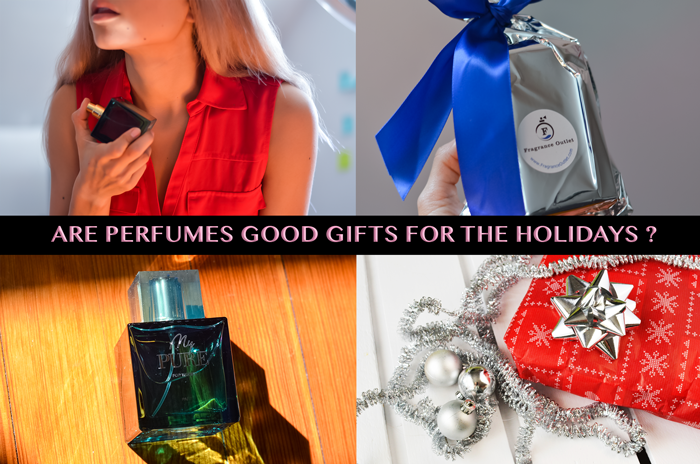 The Ultimate Holiday Perfume Gift Guide | Fashion Fab News - fashion, beauty, celebrities, designers . Buying gifts for friends and family is not an easy thing to do during the holidays. Malls and stores are crowded, and choosing something for someone else is very hard, so whether you want to stock up on your favorite scents or find the perfect perfumes or colognes for your loved ones, I hope my experience getting perfumes helps you out to make up your mind to buy scents for this holiday season. I buy everything online and perfumes could be a tricky thing to get, but nowadays you can find reviews and accurate descriptions about everything by just using google. I recently got a new perfume for my mom from The Fragrance Outlet, one of the nation’s largest retailers of genuine designers fragrances. It recently launched its e-commerce site and I was happy to try their new addition, "My Pure". I have a coupon code for you MYPURE55 to get 55% off your next purchase. Thank me later! When buying a perfume or cologne you need to think about three important aspects that make a scent pleasant and luxurious. 1. Websites often list their best selling items. These could be a useful guide for selecting the best scents. 3. Don't trust the bottle: When buying a perfume you should never assume that the scent is good if the bottle is beautiful. Some brands invest more into the bottle design and packaging than the creation of a good scent. 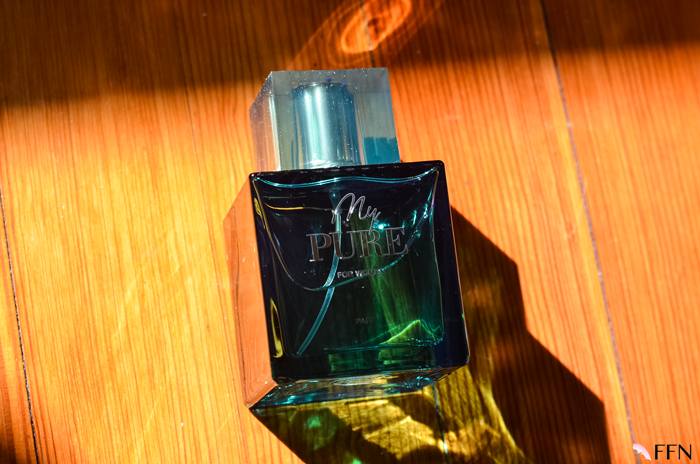 From "The Fragrance Outlet", I got "My Pure" for women by Karen Low Paris. My Pure evokes a sense of luxury and style. Right from the start, the fragrance has some plum and iris infusions with a light, woody aroma . 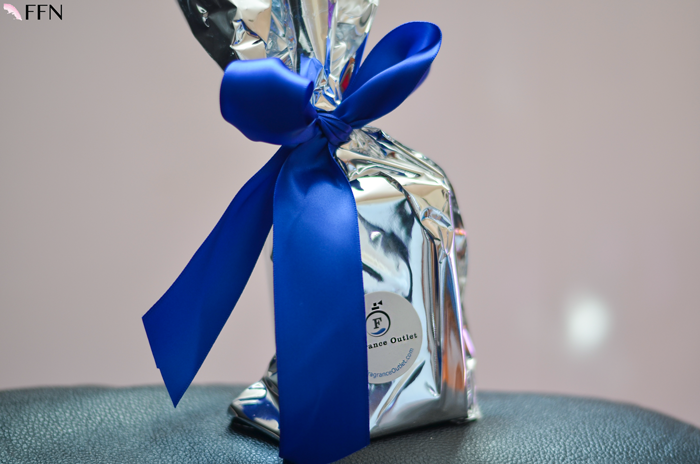 It came wrapped like a Christmas gifts with an electric blue ribbon and the logo of the company. I really liked the scent and the packaging of this brand looked great. I am very happy with the new perfume for my mother and the experience with the website was perfect. Comprar regalos para amigos y familiares no es una tarea fácil. Los centros comerciales y tiendas están la rebentar y escoger algo para alguien más que difícil, así que si usted desea abastecerse de sus aromas favoritos o encontrar los perfumes perfectos para sus seres queridos, espero que mi experiencia obteniendo perfumes le ayude a resolver el dilema de que compraresta temporada de festividades. Yo compro todo en línea y comprar perfumes puede ser difícil de conseguir, pero hoy en día usted puede encontrar comentarios y descripciones precisas sobre todo con sólo usar google. Hace poco recibí un nuevo perfume para mi mamá de The Fragrance Outlet, uno de los minoristas más grandes del país de fragancias genuinas de diseñadores. Recientemente este lanzó su sitio de comercio electrónico y me emocione mucho al probar su nueva adición, "My Pure". Tengo un cupón para que obtengan el 55% de descuento en su próxima compra MYPURE55 . ¡Agradescanme después! Al comprar un perfume o colonia necesitas pensar en tres aspectos importantes que hacen un aroma agradable y lujoso. 1. Los sitios web a menudo enlistan sus artículos más populares. Estos podrían ser una guía muy útil para seleccionar las mejores fragancias. 3. No confíe en la botella: Al comprar un perfume usted nunca debe asumir que el olor es agradable si la botella es hermosa. Algunas marcas invierten más en el diseño de la botella y el envasado que la creación de un buen olor. De "The Fragrance Outlet" obtuvé "My Pure" de Karen Low Paris para mujeres. My Pure evoca un sentido de lujo y estilo. Desde el principio que abres la botella, la fragancia tiene una infusión de ciruela y un aroma ligero a leña. Lo recibí envuelto como un regalo de Navidad con una cinta azul y el logotipo de la empresa. Me gustó mucho el olor y el empaque de esta marca se veía genial. Estoy muy contenta con el nuevo perfume para mi mamá y la experiencia con el sitio web fue perfecta.